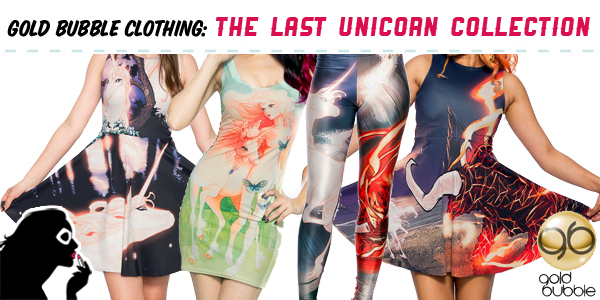 Fans of the animated cult classic, “The Last Unicorn”, have eagerly been awaiting the launch of the first, officially licensed apparel, which is being produced by Gold Bubble Clothing. 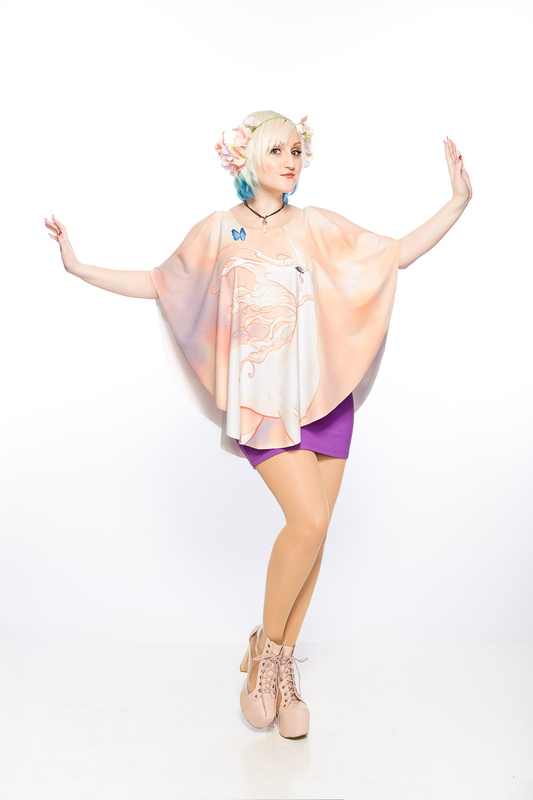 Their first collection has released today, and includes 15 pieces, ranging from mini-dresses, A-Line dresses, skirts, leggings, and poncho tanks. 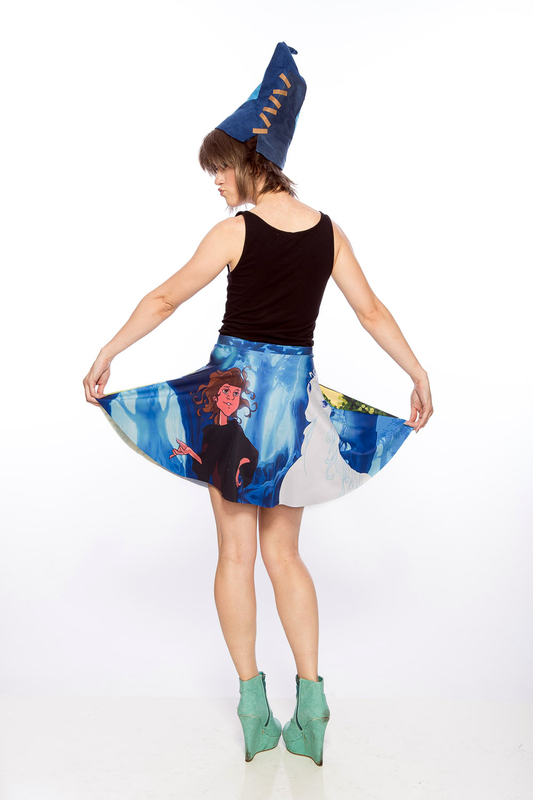 The garments feature stills from the film, as well as artwork from the graphic novel. Yes, that sound you hear is your childhood self screaming for joy. 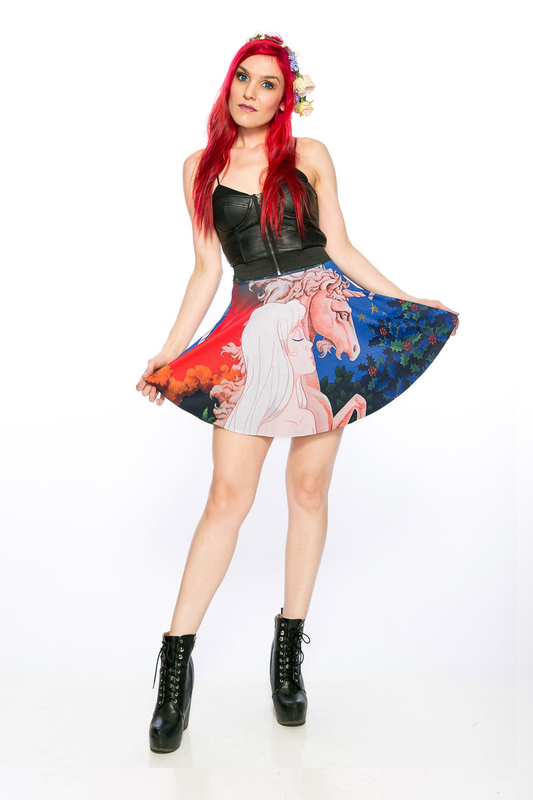 Don’t forget to save 15% off your order with coupon code UnicornFB. 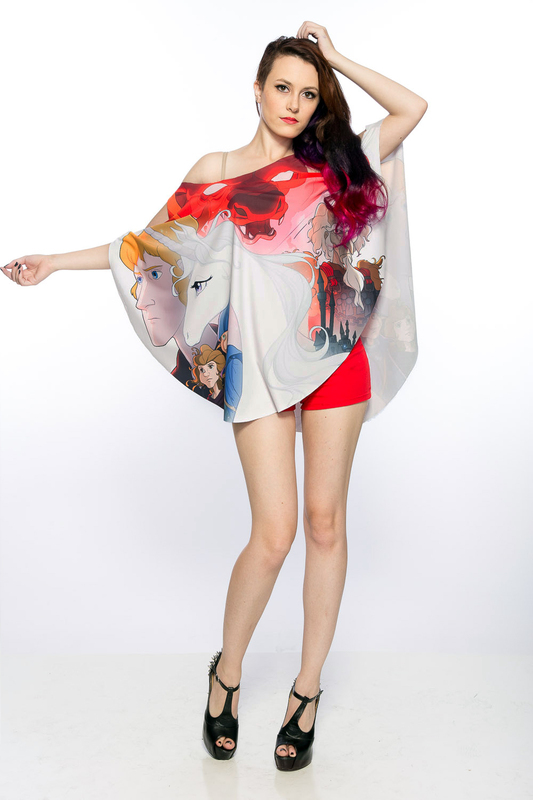 Do you have a favorite piece from the collection? Let us know here, or on Facebook and Twitter!